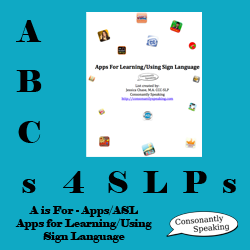 Here is the newest application list that I have created showcasing applications for learning and using sign language. Applications included are not solely for American Sign Language, but also for British Sign Language, Japanese Sign Language, Thai Sign Language, Spanish Sign Language, and more. It includes the current app icon, current application name, a short description of each application, and the current price at the time this list was released/updated. Applications on this list are for the iPhone, iPod touch, iPad, Android, Kindle Fire, and Nook as listed below each application name. 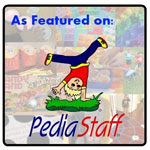 Read more to find the list at the end of the post. As usual, feel free to download and use this resource. Feel free to pass on the link to my website. You do not have permission to alter my document, claim it as your own, or sell it for profit. 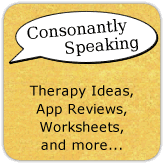 Feel free to comment with any other applications that I missed or comment as to whether or not this will help you choose appropriate applications for speech-language therapy! I hope this helps you find new applications!